The landscape of the healthcare industry is poised for dramatic change in 2015 and the years ahead, and radiologists need to be ready to adapt if they’re going to thrive. This was the overarching message from the plenary session “Critical Issues Facing the Practice of Radiology in 2015 and Beyond” at RSNA 2014, presented by Bibb Allen, Jr., M.D., FACR; Geraldine McGinty, M.D., FACR; and James A. Brink, M.D., FACR, all members of the American College of Radiology (ACR) Board of Chancellors. The largest issue looming on the horizon, by all accounts, is the transition from fee-for-service to a value-based payment model. Allen termed the shift a “revalidation of current inputs,” as the Centers for Medicare and Medicaid Services (CMS) works through the current procedure terminology (CPT) codes to determine what codes can be eliminated or bundled together. From radiology’s standpoint, Allen noted that many technical component codes are already being eliminated. As more and more codes are bundled or eliminated, exam volume has begun to decline and will continue to do so for the foreseeable future. Rather than subject a patient to a battery of imaging exams, this more patient-centric, value-based healthcare model focuses on implementing the right treatment or service. With so many different types of imaging exams and each with a myriad of applications, the question becomes how can one be absolutely certain they’re implementing the “right” imaging solution? To help radiologists ensure they are taking the best course of action, the ACR released its own appropriateness criteria for clinical decision support (CDS). The document contains evidence-based guidelines for radiological options in response to various conditions and scenarios, along with an appropriateness rating for each option. The appropriateness criteria are regularly updated but are still not widely used at the point of care, according to McGinty. Radiologists have a little time to get a better understanding of the appropriateness measures, but should have them down by Jan. 1, 2017, when the Clinical Decision Support for Advanced Imaging mandate takes effect. Spawned from the Protecting Access to Medicare Act, the measure will require physicians ordering advanced diagnostic imaging exams to consult a series of government-approved, evidence-based appropriate-use criteria via a CDS system. Claims for the exam will only be reimbursed if the physician can confirm they consulted the system. Establishing their place in the new system goes beyond just making appropriate exam choices, though. Radiologists have to become their own advocates and demonstrate quantifiable value — both within and outside of the imaging lab. Quantifying exam time is relatively easy, but what about all of the other job-related functions carried out during the day? A tool like the Radiology Value-added Matrix provides one solution. The chart consists of several columns, with header categories such as quality, service, utilization management and professional development. 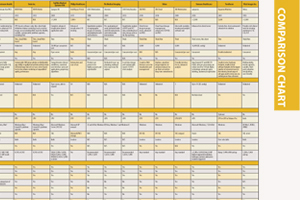 Underneath each column are the related tasks, which can then be broken down into the amount of time spent performing each task. Multiply that number by the average hourly rate for radiologists at your hospital, and a more accurate picture emerges of how radiologists spend their time and what exactly they contribute. See Radiology Value-added Matrix. With an increased focus on patient-centered care and the emphasis on decreasing volume, the best way to satisfy these dual objectives is to be more mindful of population health management. This means keeping a population as healthy as possible while minimizing the need for interventions, from hospital visits to imaging exams. “It should be automated and ongoing,” said Brink. Electronic health records (EHRs) are just one example of a powerful informatics tool that can be used to help ensure a patient is receiving the proper imaging exam. Many vendors now include safeguards within their software to adjust the workflow if an imaging exam appears to be implemented outside of its standard indications. As these new measures are implemented going forward, radiologists have the opportunity to help each other improve and adapt by coordinating a strong quality management framework. The idea is to get everyone on the same page in terms of quality, safety and performance improvement efforts. McGinty put forth the concept of a radiologist value metric dashboard, much like the Radiology Value-added Matrix. Such mechanisms serve a two-fold purpose: They show the value that imaging departments add to clinical care in their own facilities, while also providing concrete data on how they differ from the competition. Above all else, being proactive in addressing these critical issues is the key for radiologists to survive and thrive in the changing landscape. Must Radiologists Be Prepared To Delegate ... To Smart Machines?